When social game developer King commissioned a new Stockholm workplace, ÅF Lighting was granted full responsibility for the element of lighting design, in collaboration with interior designers Adolfsson & Partners. In spite of a tight time schedule, the project was successful, and last night, the team was awarded this year’s Swedish Lighting Award for its work. 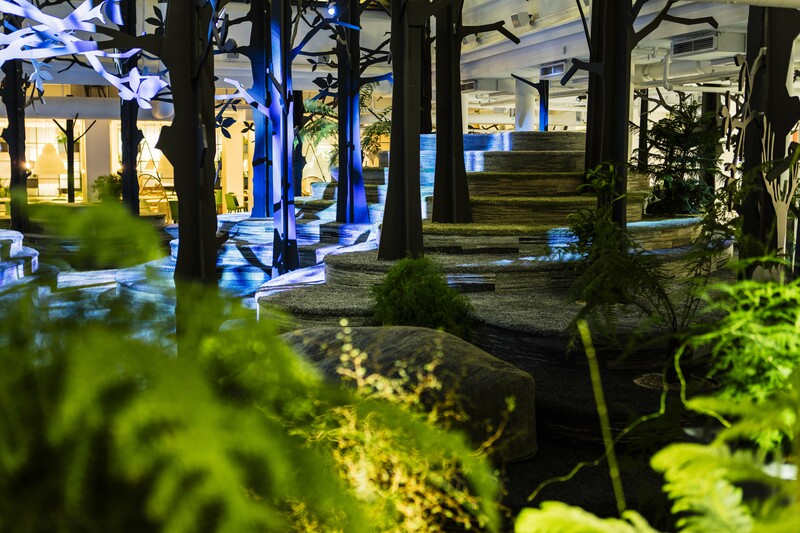 The workplace, located on Kungsgatan 36 in central Stockholm, features an indoor forest with light and sounds which change with the seasons, lighting and interior design characterized by visual attraction and comfort, and a range of spaces designed to encourage creativity. The jury praised “the inspiring visual interplay between lighting and interior design, creating excellent conditions for creative work” and claimed that the winners had managed to “blur the lines between fiction and real life”. Accepting the award at a ceremony at Berns Salonger in Stockholm on September 6 2016, the winning team praised the close cooperation and transparency between the parties involved. “Many factors contributed to the success of this project. The most important ones were an end user with clear views and an interior designer with great visions”, said project manager and lighting designer Martin Petersson. “Offices are definitely becoming more varied and tailored to the needs of employees. Winning this award tells us that we are doing the right things. We’re heading for the future”. This is the 12th major lighting design award ÅF Lighting has received since the lighting firm was founded in 2011.